Even though Elena of Avalor does not premiere on the Disney Channel till July 22nd, Peyton and I just finished watching the first episode. The First Day of Rule is available now on the Disney ap. So if you are a network subscriber download the ap and verify your provider and you can watch it too! This first episode is a lot of back story on Elena. We need this so we know a little about Elena and her family. 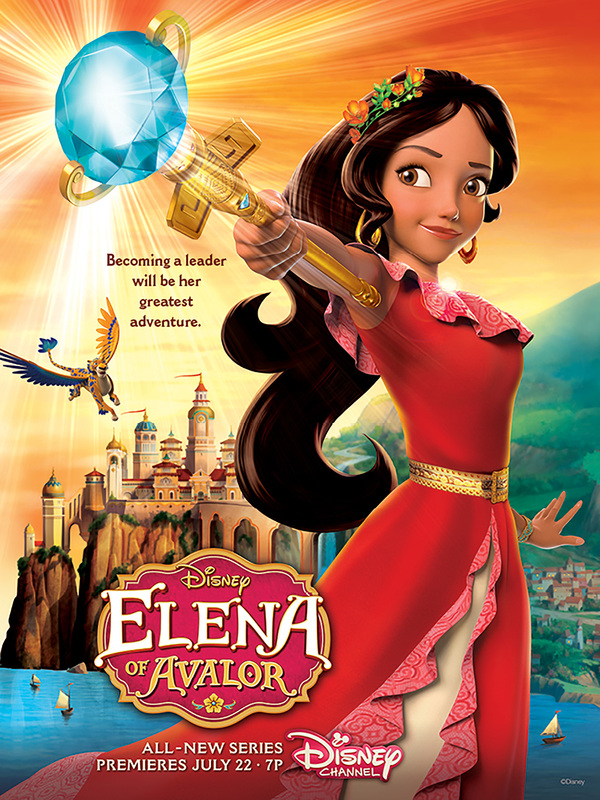 One thing I did notice is that Elena was trapped inside the amulet of Avalor. It looked an awful lot the Amulet of Avalor that Sofia wears in Sofia the first. I’m wondering if we are going to see some cross over episodes??? Anyways, back to Elena. In First Day of Rule we learn how Elena was trapped inside the Amulet and that it took decades to get her out. Once she was out she needed to take back her kingdom. So while Elena is learning about what her kingdom needs her little sister is kidnapped!We watch Elena struggle with needing to save her sister and duties to the kingdom. Peyton and I really enjoyed watching Elena of Avalor. When it was over Peyton immediately started hunting through the Disney ap looking for more episodes. I noticed things like the Amulet having a cross over to Sofia the First but Peyton did not notice it. I think she was too busy enjoying the music and story. Elena of Avalor has a catchy, beautiful music woven into the story. I like this because I feel children learn more when a moral or lesson is put to music. Disney did a great job doing this with Elena of Avalor. Through song, we see Elena recognize a conflict in her duties and work through the conflict to a decision that helps everyone. Nice way to show children to problem solve and compromise. Elena of Avalor will have a 1 hour (2 episodes back to back) premier on July 22nd at 6 pm CST. Peyton will be at camp this week so I’ve already set the DVR for her. Though I’m sure she’ll be on the ap trying to watch it the second I pick her up. Hola! I’m Lauren. i hope you and Payton are doing well! I’m excited for Elena of Avalor too! It’s awesome to finally have my culture represented in a positive way in Disney! I love First Day of Rule! I’m so excited for Model Sister! I love Elena and Isabel’s bond! The music is awesome as well!